If one thing is clear, is that many Need for Speed fans were not so happy with 2015’s reboot game. It wasn’t a bad entry in the series, but it simply failed to reach the heights of earlier Need for Speed games like 2005’s Need for Speed: Most Wanted, and the classy Need for Speed: Hot Pursuit, arguably the best Need for Speed game to date. 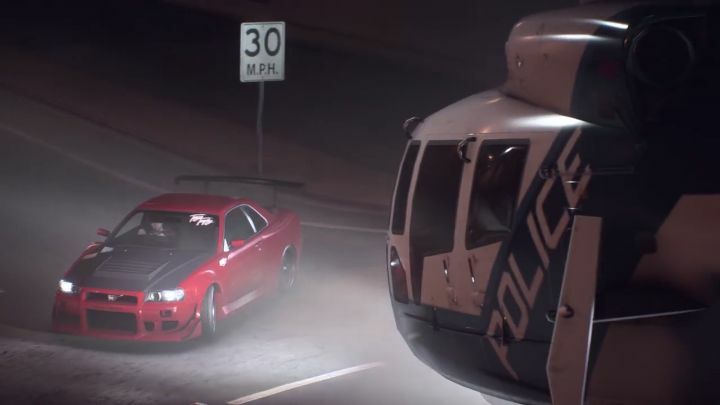 But it looks like publisher Electronic Arts (EA for short) is pulling out all the stops to make sure the next Need for Speed game is something special. Titled Need for Speed: Payback, this upcoming entry in the world-conquering racing series is set in the fictional Fortune Valley, which is based on real-life Las Vegas. Also, unlike Need for Speed 2015, this new entry in the franchise ditches the good old live action video sequences that have featured in most Need for Speed games to date. Some may welcome this move (especially those who were not fond of the cheesy acting seen in previous Need for Speed story videos), and Need for Speed: Payback’s trailer below shows the new 3D animated characters we’ll be seeing in the new game’s story cutscenes instead. In this new Need for Speed game, you play as three different characters: a racer named Tyler, Jess the wheelman and Mac (a showman). These guys are all eager to get even with The House, an evil cartel that has its tentacles all over the city. And undoubtedly this will involve fast cars, teaming up with a crew of friends and plenty of racing action, in order to put things right in Fortune Valley. Judging by this story trailer, it looks like Need for Speed: Payback’s story could be fun enough to play through. Although it remains to be seen whether the racing action will be up to par in this upcoming Need for Speed entry, something we will find out when it hits shelves next month.